Dominique Ansel is never not innovating. If he’s not creating the next cult hybrid pastry, he’s making cheese ice cream, topping hot chocolate with blossoming marshmallows or transforming an abstract concept into a dessert tasting menu. Now, the dessert genius is turning his attention to something savory: a French dip sandwich. 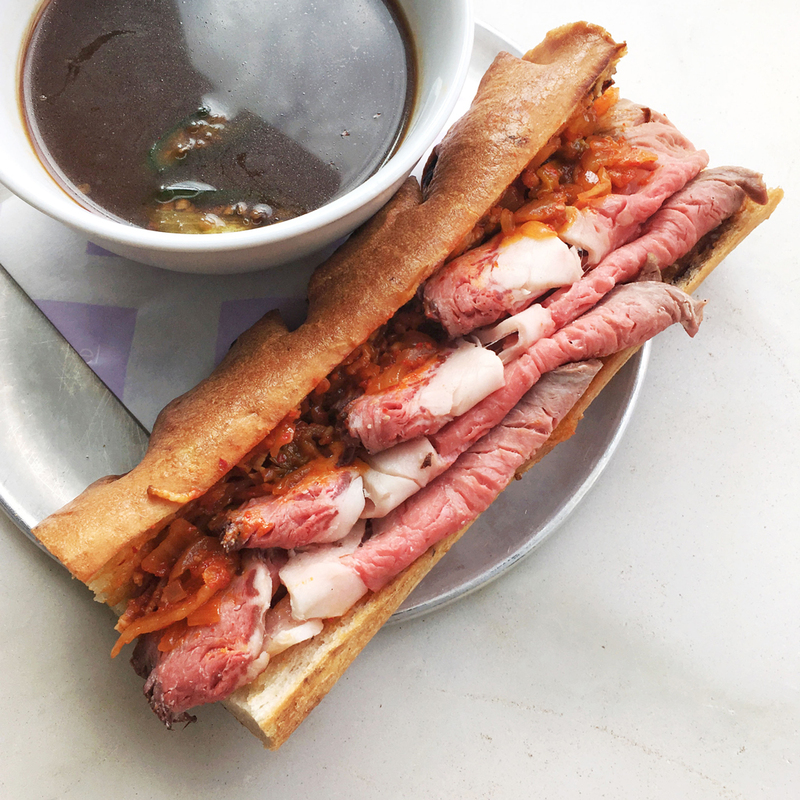 Ansel teamed up with chef Deuki Hong of NYC’s Kang Ho Dong restaurant to make their take on a sloppy, meaty, juicy sandwich called the KFD (Korean French Dip). Piled with slow-roasted prime rib and a kimchi, bacon and onion marmalade, the sandwich arrives on a black garlic-studded potato bread, slathered with garlic butter. Because nothing Ansel does is ever mundane, the sandwich is served with a choice of jus: shiitake mushroom or spicy Serrano. The collaborative sandwich will be available only at Dominique Ansel Kitchen in NYC April 1-3 (starting Friday at 6 p.m. and Saturday and Sunday at noon) for $22.